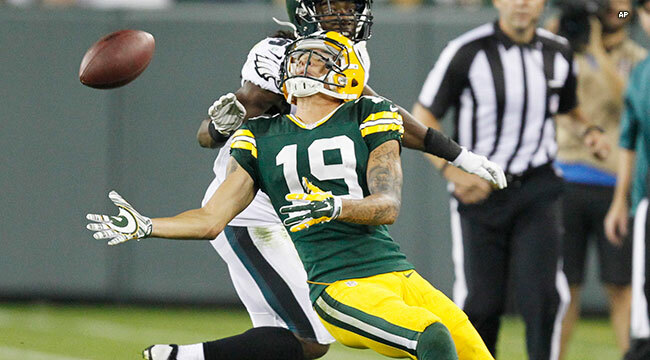 GREEN BAY — Matt Blanchard threw a 27-yard touchdown pass to Jeff Janis in the fourth quarter, but it was too little too late and the Packers lost to the Eagles at Lambeau Field on Saturday night, 39-26. In the battle for the Packers’ No. 3 wide receiver job, Myles White caught nine passes for 89 yards, Janis caught three for 72 yards and Ty Montgomery caught two for 71 yards. Blanchard completed eight of 11 passes for 87 yards, one touchdown and one interception. 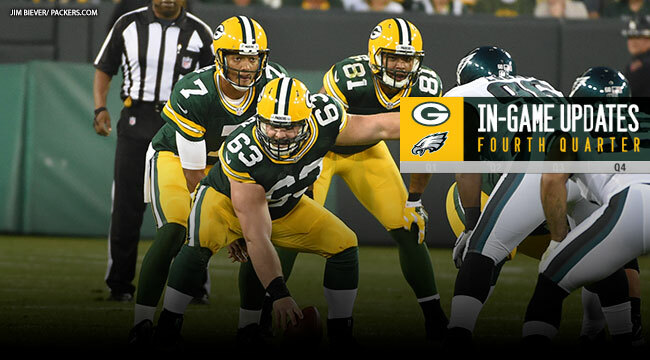 The Packers, 1-2, will conclude the preseason at home against the Saints next Thursday.